Congrats on your retirement…….but you will be missed! I chose the bottom row for the Tic Tac Toe Challenge #043 of square, die cut, and dots. The very first dots I thought of were the Crushed Curry, Basic Black, and Whisper White dots from Pick-a-Pattern. I have loved this DSP set for a year and am sad to see it go. But change happens, and new colors and DSP are on the horizon. Demo pre-order period starts May 1st, and I am waiting with bated breathe. In the meantime, I am waiting for my Gotta Have It All pre-order. What a huge deal! Details at the bottom of this post. Once I knew the DSP I would use, I had to figure out the layout, so I decided to check out other challenges. 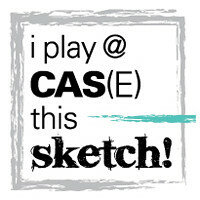 The CAS(E) This Sketch #267 for this week was perfect! The combination of these two challenges really works well! I knew the black mat couldn’t be plain, so I ran it through the dots embossing folder for added texture without adding another pattern. I needed something for the stripe across the top, so I put in a strip of Crushed Cury and used the Basic Black bakers twine wrapped it around three times and tied a simple knot. I really like the Sunshine Wishes die set, so I cropped out 3 “congrats” greetings, white, Crushed Curry, and Basic Black. Thankfully, I have the Xyron sticker made and ran all three pieces through the sticker maker. Since I use the dryer sheet technique to get my detailed die cuts to release, the brush has been just sitting with the other tools. I knew that the more rubbing I did before I pulled of the top sheet, the cleaner the stickers would be. Therefore, I found that using the brush to really go over the stickers until the top layer starts to release, the cleaner the adhesive will release as well. 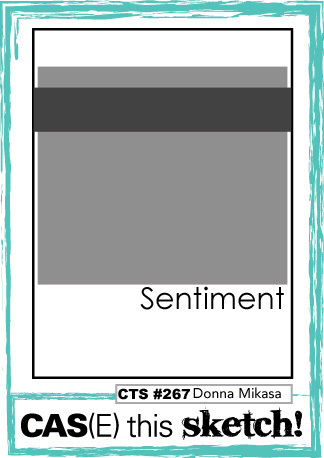 Before running the sentiment through the Xyron, I tried different layers of color combinations, and settled on white on the bottom, Crushed Curry in the middle, with black on top. Once the layers and placement of the sentiment was decided, I thought I really needed something else. I went back to the Sunshine Wishes dies and decided on the butterfly. Once again, I cropped it in the three colors and started playing around with the layers. I decided to use the black as the base and the white for the top. Since a plain butterfly is boring, I daubed Crushed Curry on the white so the top would have dimension. The butterfly was still too plain, so I used the Gold Wink of Stella on both sides. That worked, as did the three black enamel dots for the body of the butterfly. After adding the gold and enamel dots, the black base looked sad. Clear Wink of Stella took care of that concern, and I was done. It’s difficult to take a picture of Wink of Stella, but this close-up shows the gold and the little twinkles are the bling left behind. As promised, here’s the banner for the exclusive pre-order with three different levels of goodness! Contact me if you are interested. Levels start with a beginner set, there’s a middle level set, and the Gotta Have It All deal. That’s what I ordered. 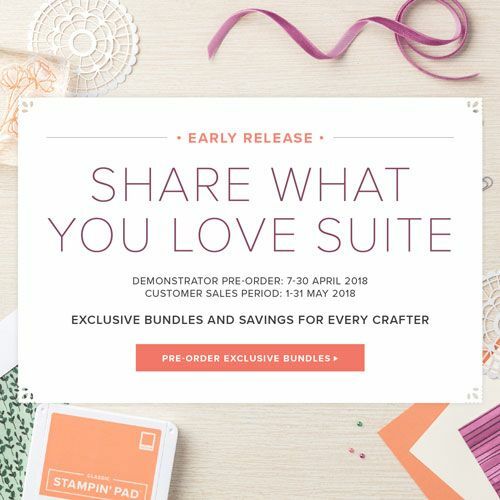 Three free items, including an exclusive to this kit’s stamp. Can’t wait to have it delivered. The #tttc each week offers 9 possible card combinations. This week, I chose the top horizontal line of circle, flower, and die cut. I tried combining it with the color challenge from Fab Friday #134 which is Powder Pink, Night of Navy, So Saffron, and Soft Sky. What I got was a soft and sweet thank you card, even with the Night of Navy paper and ink. I also substituted Pool Party for the Soft Sky. I used Night of Navy for the base of the card, the ink for the sentiment, and Stamping Write Marker for the outline of the Pretty Label Punch. I am getting better at using the marker to outline, as long as I remember to keep the marker below the punch. It’s possible to control the outline by angling the thick side of the marker on the outline. The DSP is from the Whole Lot of Lovely DSP pack. Some of these sheets are soft and others are bold, but they are all lovely. Powder Pink flowers on the top, and the substitution of Pool Party on the bottom. The die cut is from the Stitched Shapes die set. I love this set, use it often, and many times I use a Stamping Write marker to draw an outline in the ditch of the shapes. The So Saffron circle and mat under the DSP cover that color challenge. When I got the elements together, I decided that it needed something, so I grabbed my Subtles enamel shapes. There are 4 Powder Pink enamel dots in the 4 whole flowers on the top. It just worked out that they surround the die cut circle. There are 3 Pool Party enamel shapes on the bottom in a triangle. The sentiment is from the All Things Thanks stamp set. I had to use the Stamping Write marker to color just the parts of the sentiment that I wanted. However, I love this font and have colored it in many times to use just the “thank you” portion of the stamp.